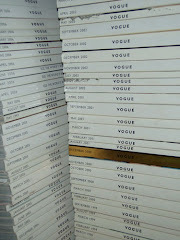 Magazines are my strongest shopping influences. From time to time I will take a look at the images that have persuaded me to buy particular pieces in my wardrobe. 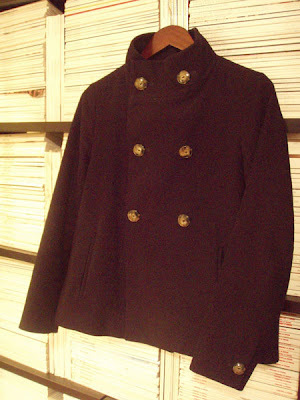 I always admired the swing of the above Issac Mizrahi peacoat (torn from an issue of Marie Claire or Bazaar??). 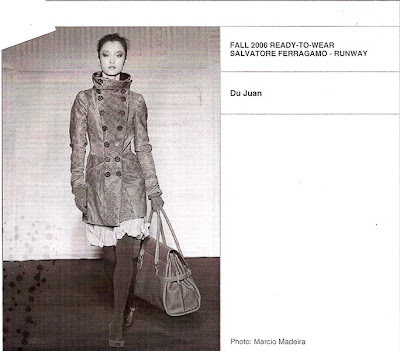 As soon as I saw the funnel-neck on this coat from the 2006 Salvatore Farragamo Fall show I printed the picture secretly at work. Found the perfect merge of the two characteristics at A.P.C. we have the same jacket. probably my greatest, most fulfilling purchase of recent.